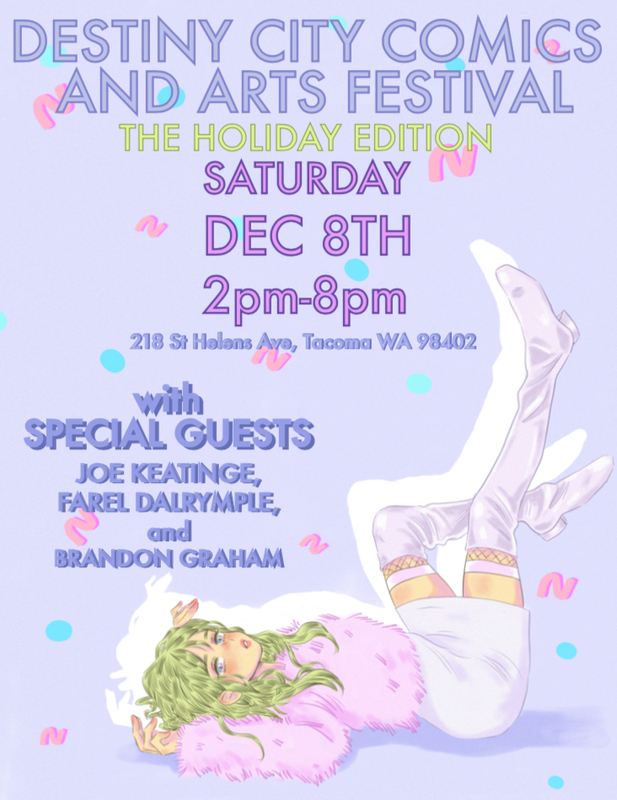 Come meet over a dozen local comic artists, writers, and illustrators, and makers! We’re welcoming special guest, local comics legend Peter Bagge (Fire! : The Zora Neale Hurston Story, Rebel Woman: The Margaret Sanger Story, Buddy Does Seattle). Stay tuned to our social media (just search “Destiny City Comics”) for more guest announcements and updates.